We have hired quality auditors who keep a strict check on the quality of the raw materials and also check the inputs against varied quality parameters before procuring them. We secure our products with lightweight, non-toxic, and superior grade packages. The packaging is done using the latest technologies and guarantees full protection to the product. 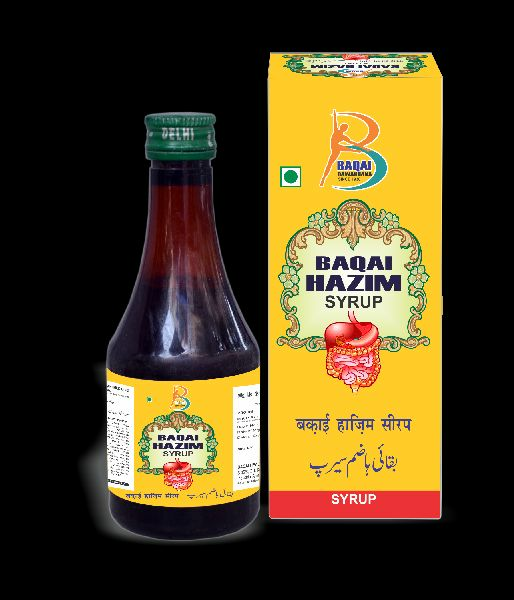 Side Effects : Baqai Hazim (Syrup) Is Not Known To Have Any Side Effects. Packing Size : 200 & 500 ML & sugar free also available.